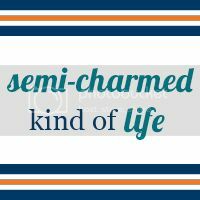 Semi-Charmed Kind of Life: 100-Follower Giveaway! I can't remember the last time I "talked" to you, but I hope everything is going well with your sisters of the suitcase! My favorite book of all time is Number the Stars by Lois Lowry because it has a little bit of everything including history, friendship, love, loss. I've read it seven times! (This was the prompt I'm supposed to answer for your giveaway on the "comment on a blog post" tab, so hopefully this is right. Great idea! My fave book of all time is "To Kill a Mockingbird"
I don't have a favorite of all time but I did enjoy reading the 50 shades trilogy! My favorite book of all time is probably The Kommandant's Girl because it is both historical fiction and romance, which I love reading! My favorite book of all time is Little Women by Louisa May Alcott. I can't even recall how many times I read it as a kid because I took it with me so many places and I wasn't keeping track. Then, I shared this with my daughter about two years ago as a re-read and her favorite is Little Men, so we have the same favorite author, but just different books that we liked best. My favorite led to her finding her favorite-I just love that! congrats on the 100 followers! And my favorite book of all time?! Yikes this is hard, um... 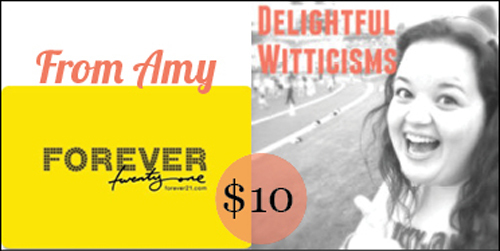 It's a tie between "Nineteen Minutes" by Jodi Picoult and "The History of Love" by Nicole Krauss. Yikes...I don't know if I can narrow it down to one favorite, but To Kill a Mockingbird is very high on the list!